A modern, tidy garden can really benefit the value of your LS27 property. Whether you just need help getting your lawn mowed regularly, or want a total redesign, we are a team of dedicated landscape gardeners who can do the job to perfection. From design through to completion, we guarantee the best workmanship and prices. With more than 15 years’ gardening experience in Morley and Churwell, we've become adept at creating the outdoor living spaces to suit out customers' needs, from open air dining to room for a child's swing. Tell us about your garden's requirement, be it light yet professional landscape maintenance or total redesign and overhaul. Call now, on 0113 370 9210. Read more about water featuresThere’s nothing quite like the sound of running water on a warm summer’s day. We’re experts at designing and building a wide variety of water features. 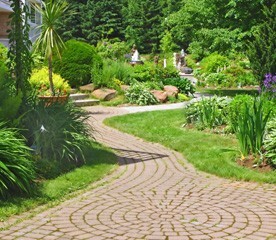 Read more about home rewiringCreating a new driveway can alter the look and the value of your home. We specialise in laying stunning paving in a variety of materials. Read more about the areas we coverWe offer a huge range of gardening services to the whole city. 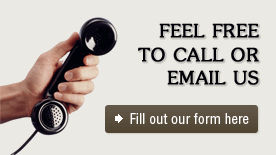 Why not give us a call to go through your individual requirements.